The U.S. Energy Information Administration (EIA) released its weekly data on diesel and gasoline retail prices for the week ended August 27, 2018. Prices for both fuels rose on a national average basis. Gasoline prices rose slightly by 0.6 cents/gallon. Diesel prices rose more strongly, gaining 1.9 cents/gallon. After a three-week long stretch of declining prices, West Texas Intermediate (WTI) crude prices rebounded by $2.81/b over the course of the week from August 20th through August 24. As of the time of this writing, WTI forward prices are continuing to rise at a more modest pace, and they are hovering around $69/b once again. Gasoline and diesel futures prices also surged last week, and the increases are being felt in the retail sector. For the current week ended August 27, diesel prices rose 1.9 cents to reach an average price of $3.226/gallon. Prices increased in all PADDs. The national average price was 62.1 cents per gallon higher than it was one year ago. In the East Coast PADD 1, diesel prices rose by 1.2 cents to arrive at an average price of $3.219/gallon. Within PADD 1, New England prices increased by 0.6 cents to average $3.267/gallon. Central Atlantic diesel prices increased by 0.5 cents to average $3.385/gallon. Lower Atlantic prices rose by 1.8 cents to arrive at an average price of $3.094/gallon. 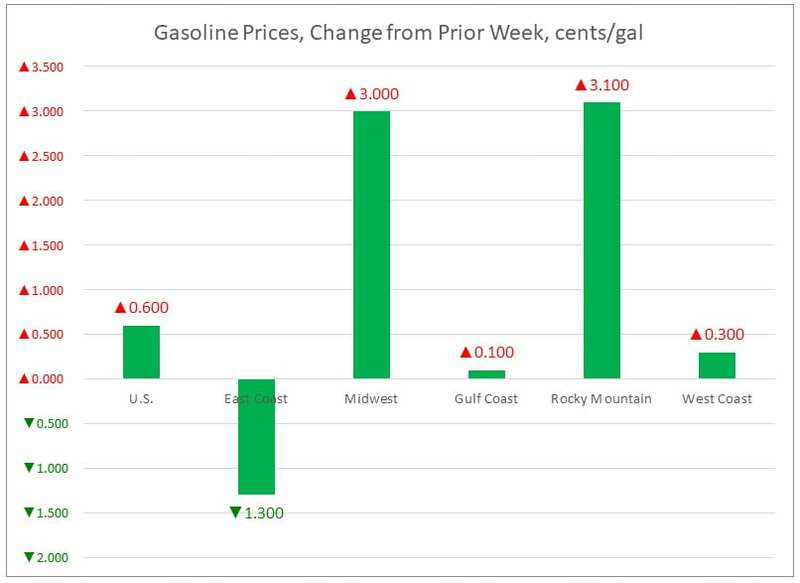 PADD 1 prices were 59.6 cents/gallon above their prices for the same week last year. In the Midwest PADD 2 market, retail diesel prices increased by 2.4 cents to average $3.153/gallon. This was the largest price increase among the five PADDs. Prices were 58.7 cents/gallon above their level for the same week last year. In the Gulf Coast PADD 3, retail diesel prices rose by 2.3 cents to average $3.004/gallon. This price was 57.6 cents higher than for the same week in the previous year. This marks a milestone of sorts—until this week, PADD 3 had been the only market where diesel prices had remained below $3/gallon. In the Rocky Mountains PADD 4 market, retail diesel prices increased by 1.5 cents to average $3.364/gallon. PADD 4 prices were 64.7 cents higher than in the prior year. In the West Coast PADD 5 market, retail diesel prices rose by 1.3 cents to average $3.719/gallon. This price was 80.9 cents above its level from last year. Prices excluding California increased by 1.0 cent to average $3.433/gallon. This price was 62.7 cents above the retail price for the same week last year. California diesel prices rose by 1.6 cents to arrive at an average price of $3.945/gallon. During the week of June 4, California prices had topped the $4/gallon mark. California diesel prices were 95.0 cents above last year’s price. U.S. retail gasoline prices increased modestly by 0.6 cents to average $2.827/gallon during the week ended August 27. Prices fell in PADD 1, while rising in PADDs 2, 3, 4 and 5. The national average price was 42.8 cents per gallon higher than it was one year ago. For the current week ended August 27, East Coast PADD 1 retail prices for gasoline fell by 1.3 cents to average $2.764/gallon. This was the only price drop among the PADDs. The average price was 42.7 cents higher than last year’s price. Within PADD 1, New England prices fell by 1.2 cents to average $2.851/gallon. Central Atlantic market prices fell by 0.7 cents to average $2.903/gallon. Prices in the Lower Atlantic market dropped by 1.7 cents to average $2.653/gallon. In the Midwest PADD 2 market, retail gasoline prices increased by 0.3 cents to arrive at an average price of $2.760/gallon. Gasoline pump prices were 45.3 cents higher than they were one year ago. In the Gulf Coast PADD 3 market, gasoline prices edged up by 0.1 cents to average $2.569/gallon. 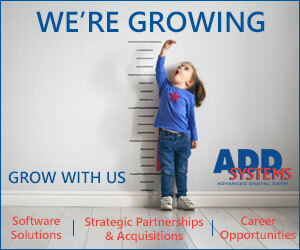 PADD 3 continues to have the lowest average prices among the PADDs. Prices for the week were 41.3 cents higher than for the same week in 2017. In the Rocky Mountains PADD 4 market, gasoline pump prices rose by 3.1 cents to average $2.963/gallon. PADD 4 prices were 50.9 cents higher than at the same time in 2017. In the West Coast PADD 5 market, retail gasoline prices increased slightly by 0.3 cents to arrive at an average of $3.310/gallon. This was 40.7 cents higher than at the same time a year ago. 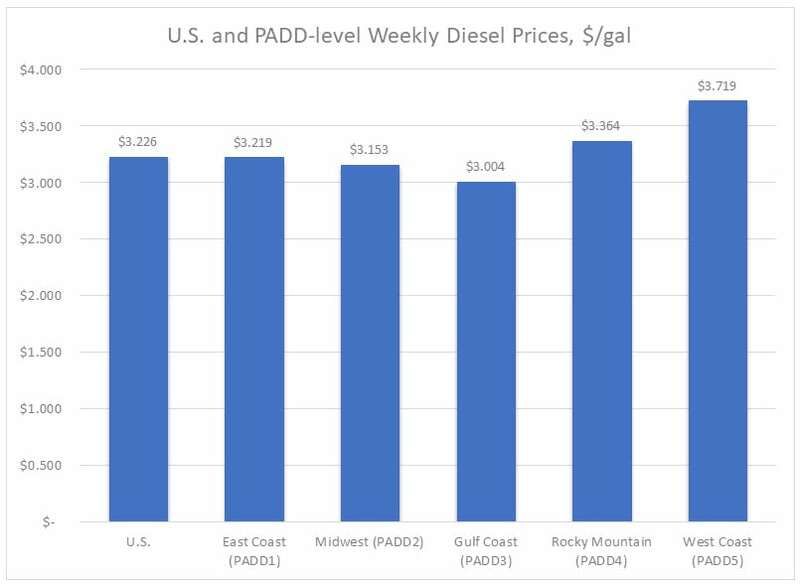 PADD 5 continues to have the highest gasoline prices among the five PADDs. During the year to date, PADD 5 has been the only PADD where retail gasoline prices have exceeded $3/gallon. Excluding California, West Coast prices fell by 0.8 cents to average $3.110/gallon. This was 43.6 cents higher than at the same time in 2017. In California, pump prices increased by 0.9 cents to average $3.471/gallon. California prices were 43.6 cents per gallon above their levels from last year.